With nearly 10,000 boats in Newport Harbor, it seems like almost everyone either owns a boat or knows someone with a boat. But there are still plenty of people, from locals to visitors, who want to try the boating experience but often settle for renting a Duffy electric boat and cruising around the harbor. Enter Boatbound, a peer-to-peer (or make that “pier-to-pier”) boat rental platform that launched two years ago in San Francisco and now has thousands of boats available to rent around the country, including nearly 30 in Newport Beach with more on the way. Boats range from six to eight passenger models to larger yachts and sailboats, with half day, full day, weekend and longer rental periods available. Prices vary from a few hundred dollars a day to several thousand for larger boats or longer rentals. Boatbound founder Aaron Hall was in town last weekend to host harbor cruises on one of the local rentals available, and to explain how Boatbound works. Hall said that when someone wants to rent a boat, no experience is required, although captains are available for most boats. To rent a boat with a captain, it’s as simple as messaging the owner and booking the boat. Hall said it takes about three minutes for a renter to get verified, and that the process is similar to how Air B&B works. Hall noted that about 30 percent of people who rent a boat have never been on a boat or rented a boat, so a lot of them rent it with a captain. Sailboats are different—it helps to have had sailing lessons, but most sailboats over 40 feet come with a captain. And to ensure that both renters and owners keep the experience a good one, they are both reviewed after each rental, so if a renter wants to book again, he needs to have positive reviews; same for the owner. Newport Beach resident Ariel Gabriel is the owner of the 26 foot Sea Ray, which he said is a 2015 model and has only 15 hours on the engine. Gabriel said he owns a second boat that’s moored in the Back Bay that he rents out almost every weekend. Gabriel came to Newport Beach from Israel two years ago and fell in love with the town and the lifestyle. 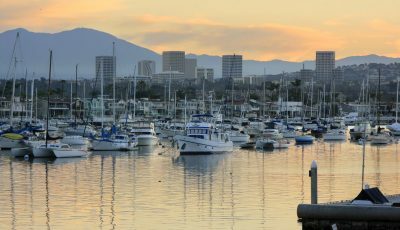 Boatbound is available now in Newport Beach, and will be expanding into the summer with additional boats being added. 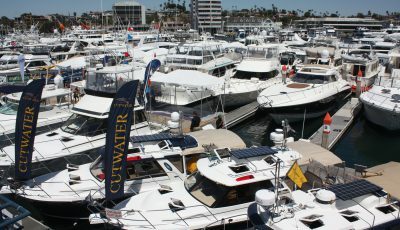 For more information on Boatbound, and to view boats for rent in Newport Beach, visit Boatbound.co. Boat sharing is great.. I owned a boat years ago but sold it because I hardly used it. Now I have been out twice in last 6 months on two beautiful boats that I discovered here https://www.boatsetter.com/boats-yachts/newport-beach-ca/rentals Give it a try, you will love the experience!